John Victor Ehret taught me to drive a truck. 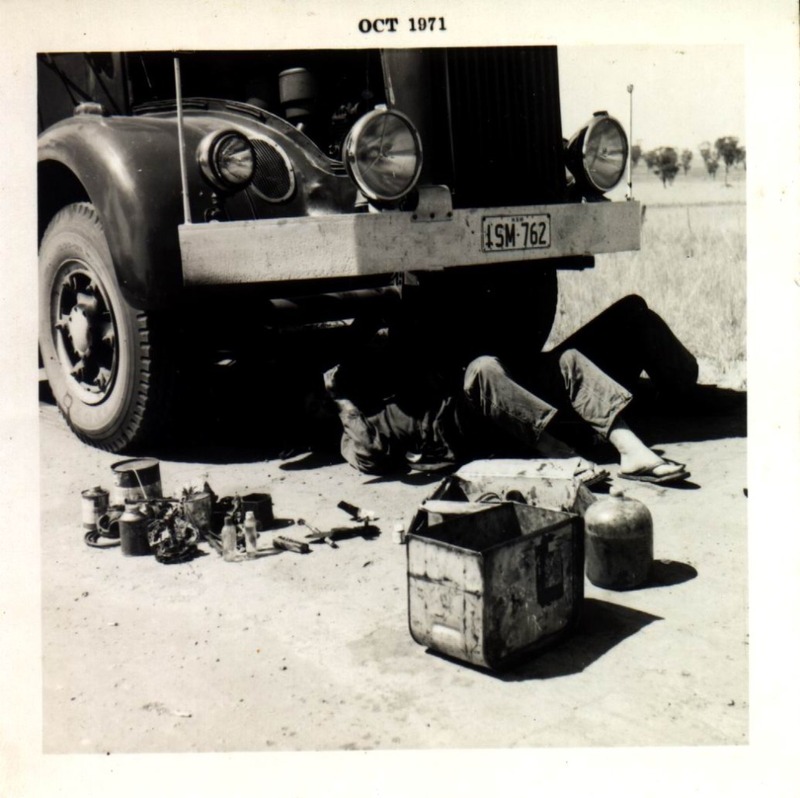 He taught me on Jackbilt No.2 an L model 190 with a silly wheel pusher, Clark 5 speed and 2 reverse gearbox and powered by a 6/71 GM and put on the ground by a No.4 Eaton diff. At various times it had had different motors but the current one in 1963 was the 6/71. 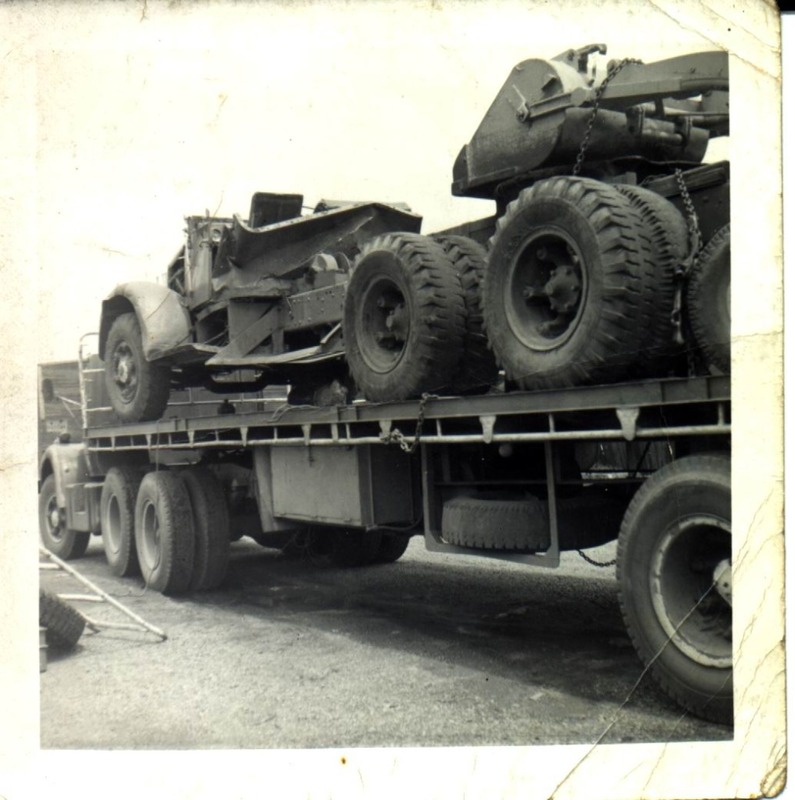 It had big shoulders that truck, but skinny legs, and axle changing was part of the job description. 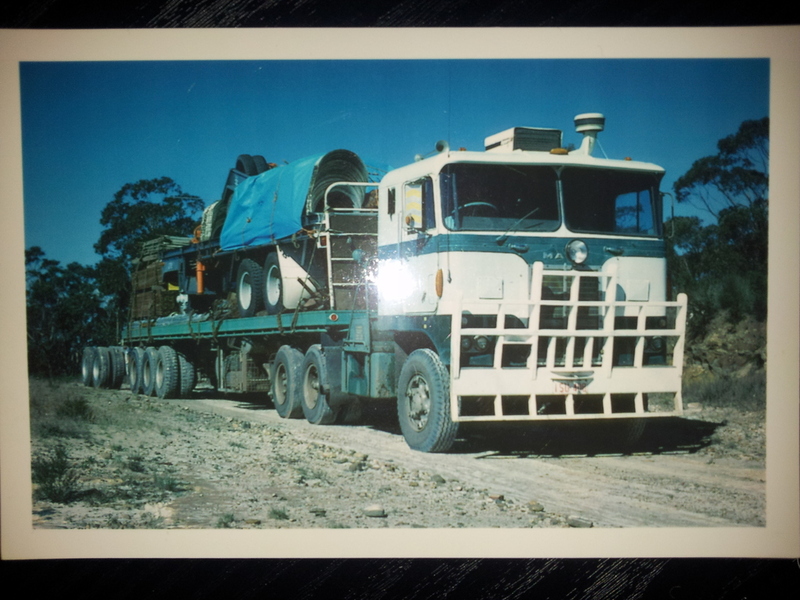 Previous Jackbilts had included a KB6 which went through various transformations and finished up with only the cab and chassis being original. After the 90 came the Mercedes, bought one night on his way home from the pub. He had paused to urinate and leaned on the mudguard to steady himself and noticed the huge hole where the engine had been. He reckoned a 671 would fit nicely and he happened to know where there was one doing nothing so bought the Mercedes on the spot from the owner who was asleep on the seat. Ehret had a thing about 2 strokes and superchargers. This came from his motorcycle racing days. He had built a supercharged 2 stroke racing bike that nothing could get near and I think he caught the GM disease from that. 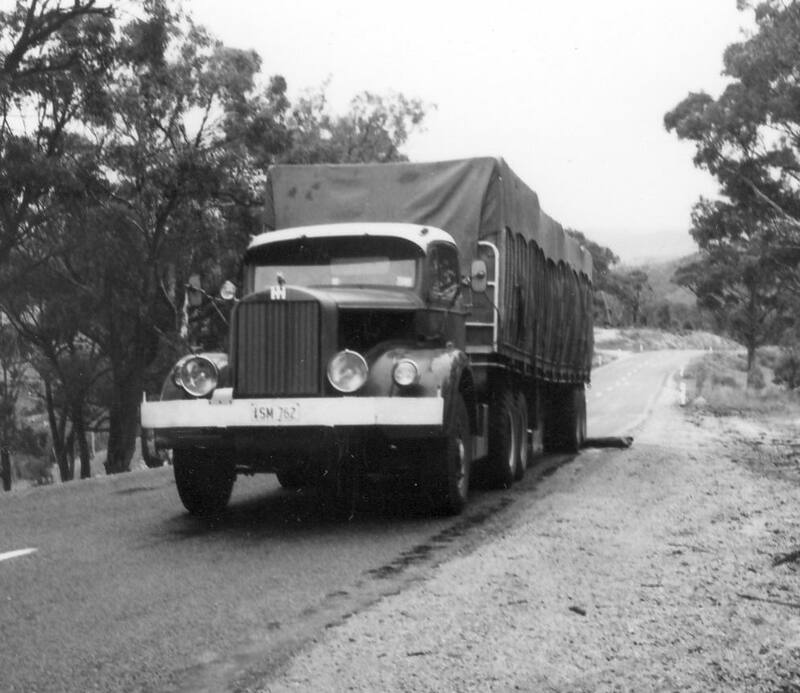 The engine that he had in mind for this lorry had probably worn out a couple of tanks, a saw mill or two, and the pump to which it was now attached but it would have fitted the No.1 Ehret criteria nicely. IT WOULD HAVE BEEN CHEAP. Well over a period of 2 or 3 years he would work on it when home or when he had a driver on the 90 and it gradually took shape. Mercedes cab chassis, NR Mack steering axle, B43 Mack drive axle, BPW dual wheel pusher, La France radiator that had cooled a V16 flathead Lincoln engine, a strange 5 speed full synchromesh gearbox that came with it and for which he had a spare, purchased brand new from Tutt Bryant for 5 pounds because they didn’t know what it was. The joey box out of Billy Game’s beaver was on the end of the other stick in a direct and under configuration as the direct and over side of the gears was worn out. I drove this for Jack but the continual blow ups by the antique 671 broke my heart and I left to drive a B model for pommy Reg Ward, one of the Elson gang of thieves. The trip after I left it blew up seven times between Rockhampton and Perth, so it wasn’t me after all. Jack never said it was but I had the guilt's pretty badly I can tell you. 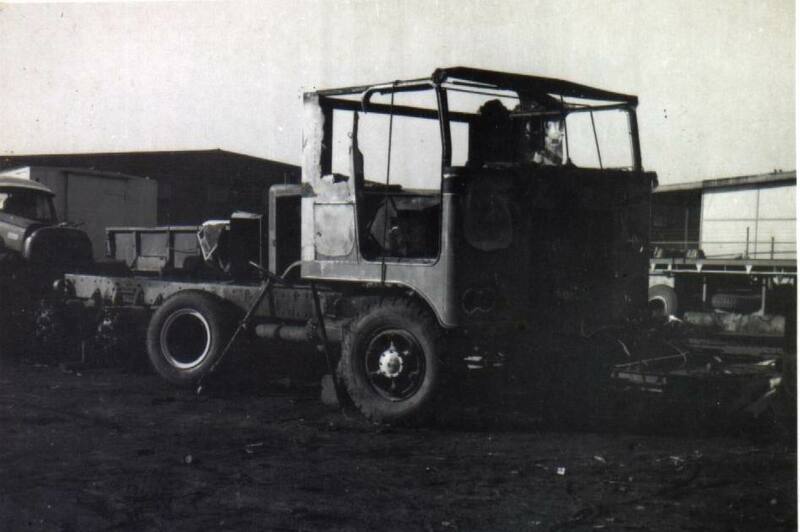 While self and Cold Cans (Mick Jacobson or Stubby Mick as he was known) were driving the Mercedes Jack was hard at work on the Mackworth. He had bought a rolled over NR from up round Grafton way with a, wait for it, 2 valve 6/71 in it, all his GM’s were 2 valves, a duplex box and not much else. This was going to be, he said, the be all and end all of Jackbilts and it was. 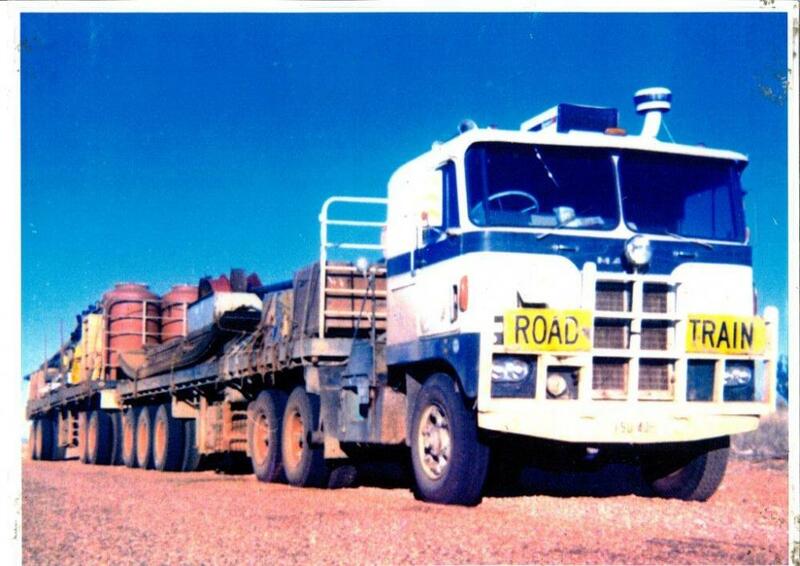 His original idea was to buy an ACCO cab and cut it into quarters and extend it to be KW or Pete size. One day on his was to or from the Town and Country (where the atmosphere is great) he drove past Kenworths and spotted Tony Harbutts burnt out cab over cab. Next morning he was on the doorstep at daylight, about 10.30am, (Jack was not an early riser) and purchased it on the spot. than $20, a huge saving on Kenworth’s hydraulic system. side and then front to back with a small overlap. This left a gap to be covered full of compound bends. compound bends as required, another problem solved by ignoring it for a while. write bits and pieces off that otherwise may have been repaired. was not far to KW St Peters. bought the screens, O’Briens were rung, the screens fitted, Jack got a refund. even the good fairy could arrange this. welded one, and the finished article. KW were gobsmacked and offered him a job as an advisor. Jack declined. but he never upgraded it. It was a double overdrive box and the dear old thing would do about 70 mph. on level ground empty. another so off I went to Fivedock and bet the inspector $50 it wouldn’t pass muster. You wouldn’t believe it. I lost my bet. they carried as much or more than most on that job and did a minimum of damage..
pronunciation was Coma. You had to be in one to buy one he reckoned. Dennis wrote it off in the territory. could only travel at night as the oil boiled in the diffs in daylight after about 45 minutes. Paulk, thank you for posting it on here. I sure saw those images on the net since they were NR-related but haven't read the article. What a great adventurous tale these old trucks live. Thanks for sharing the story. Anyone notice the guy working on the crank is wearing flip flops? You blokes call them flip flops, we call them thongs or pluggers, Kiwis call them jandles ??? They would stop me from being able to do 50% of my work lol. Half the day I'm driving, other half I'm mixing and wheelbarrowing/raking concrete. When I'm not doing that I'm welding or an a roof. Boots every day, sun up to sun down.